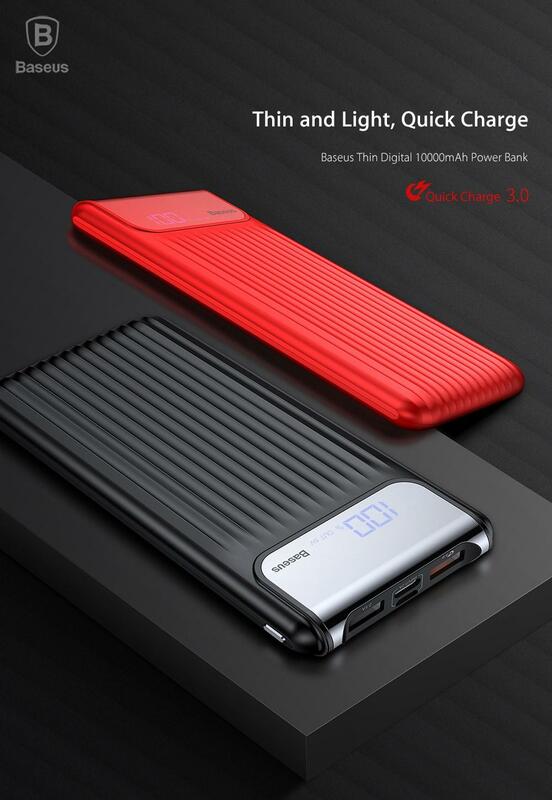 With the capacity of 10000mAh and ability to simultaneously charge up to 2 devices while on-the-go, the Baseus Thin Digital power bank is a must-have accessory for all traveling enthusiasts and people who excessively use their smartphones in everyday activities. 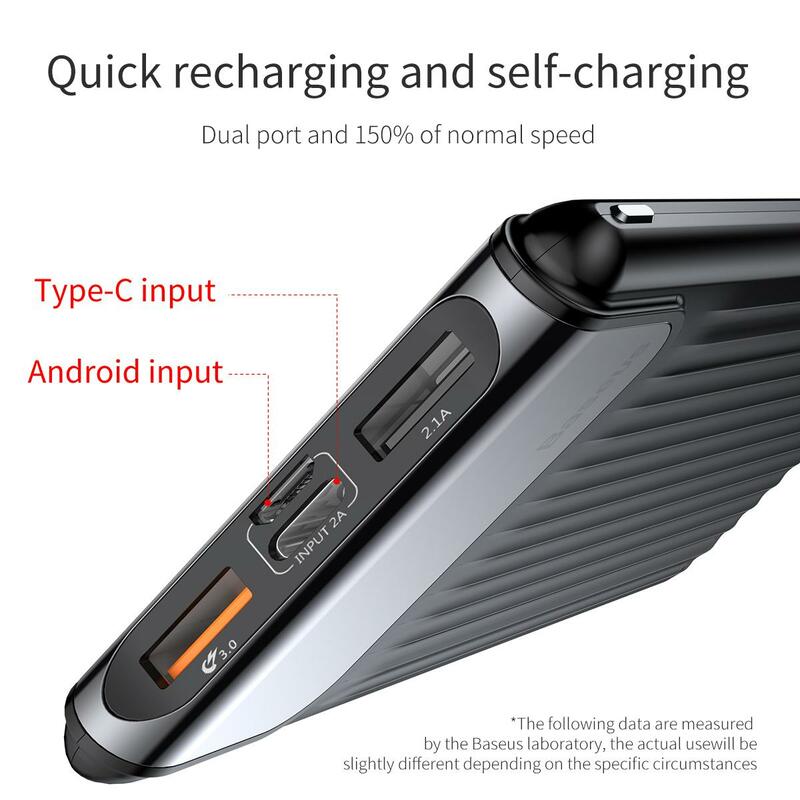 This power bank supports QC 3.0 technology (quick charge), so you can charge up your supported smartphone or tablet in no-time. 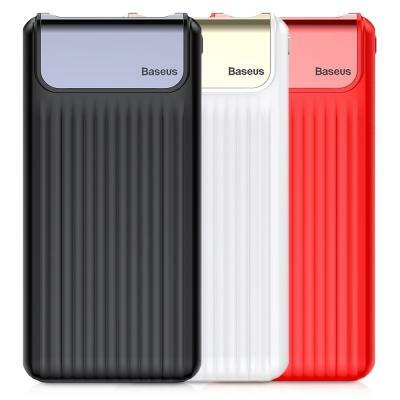 Never run out of battery again with Baseus Thin Digital power bank. 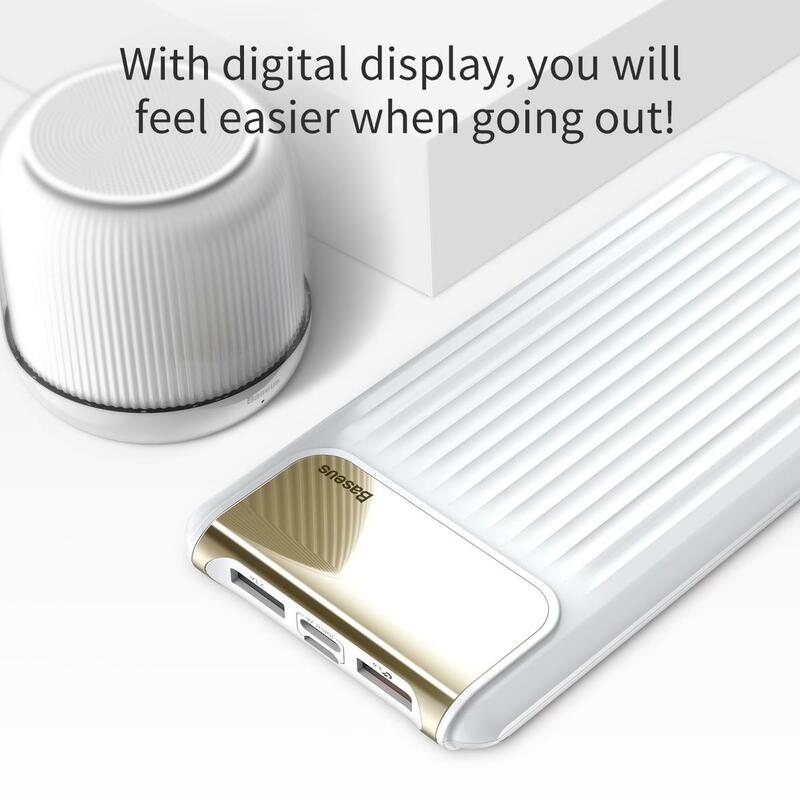 - 10000mAh High Capacity: 10000mAh portable power bank gives you the enough power to keep going for a long journey. 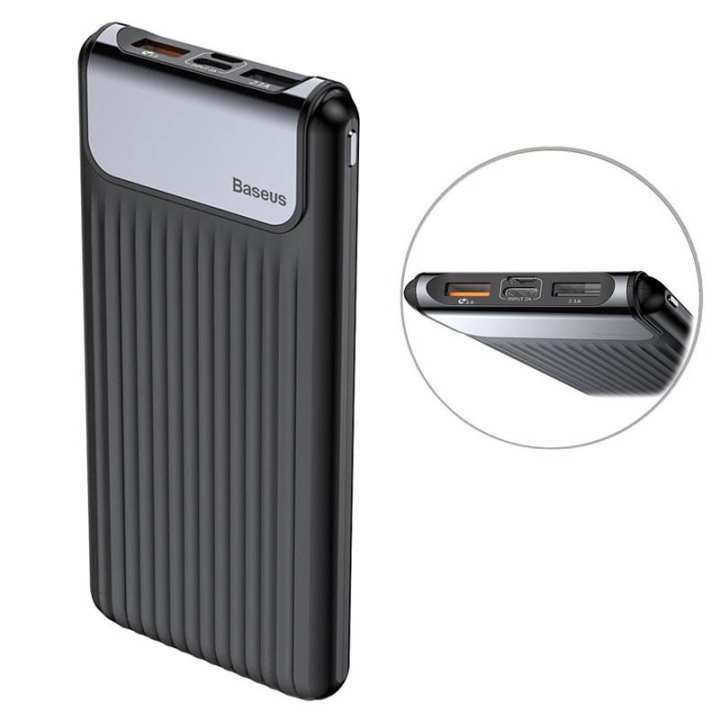 Built-in high-quality and safe Li-polymer battery, good efficiency for energy storage. 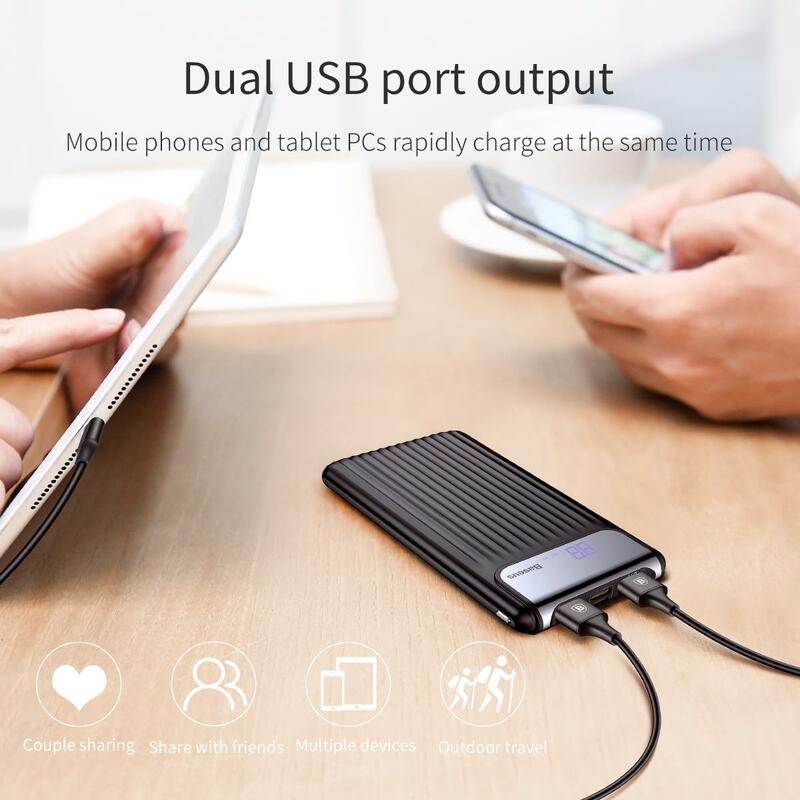 - Dual Inputs (Type-C + Micro USB) and Dual USB Outputs: Not only the traditional Micro USB cable, you can also use the Type-C cable to charge the power bank. 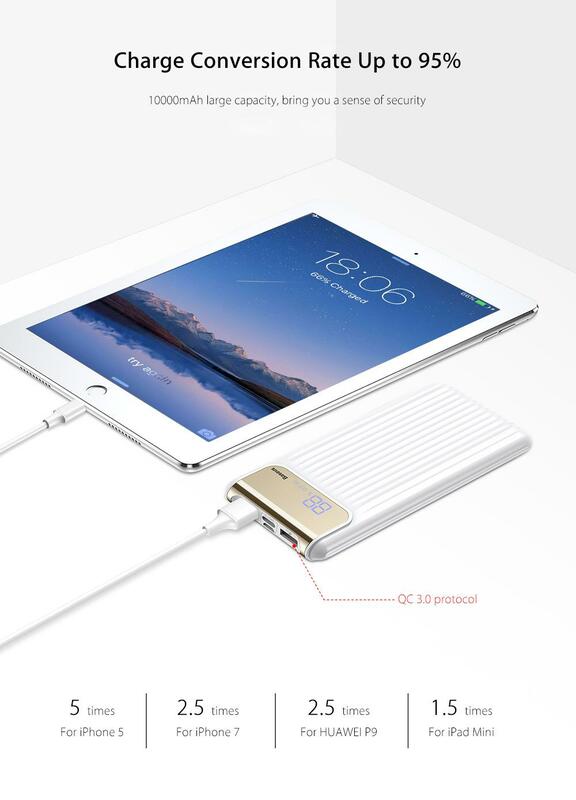 Dual outputs, can charge phones, pads or other small electronic devices simultaneously. 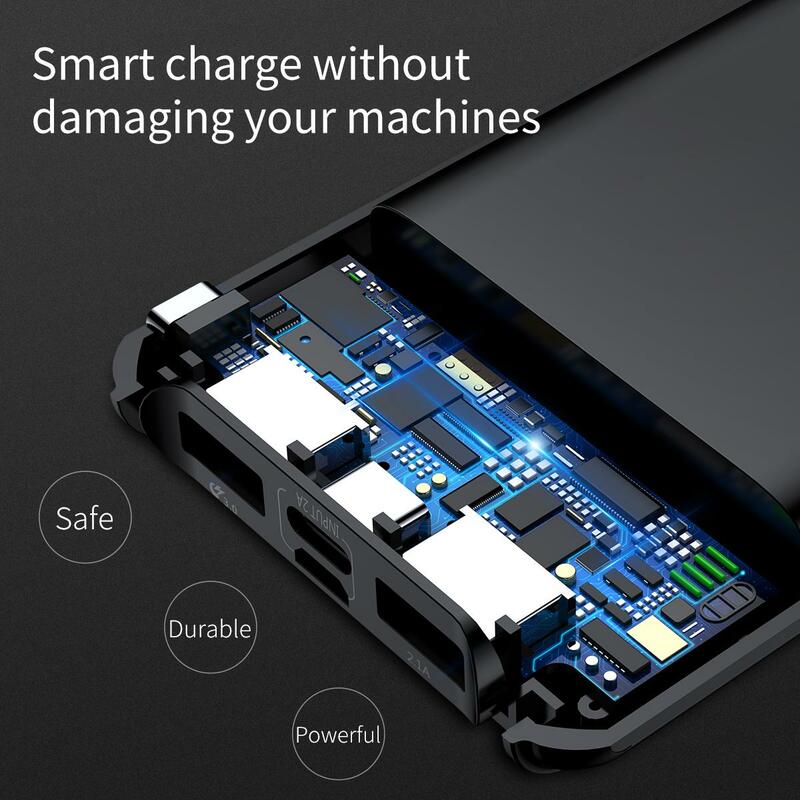 - Smart Charging without Damaging Your Machines: Using intelligent frequency division technology. Self-adapting to equipment required current. 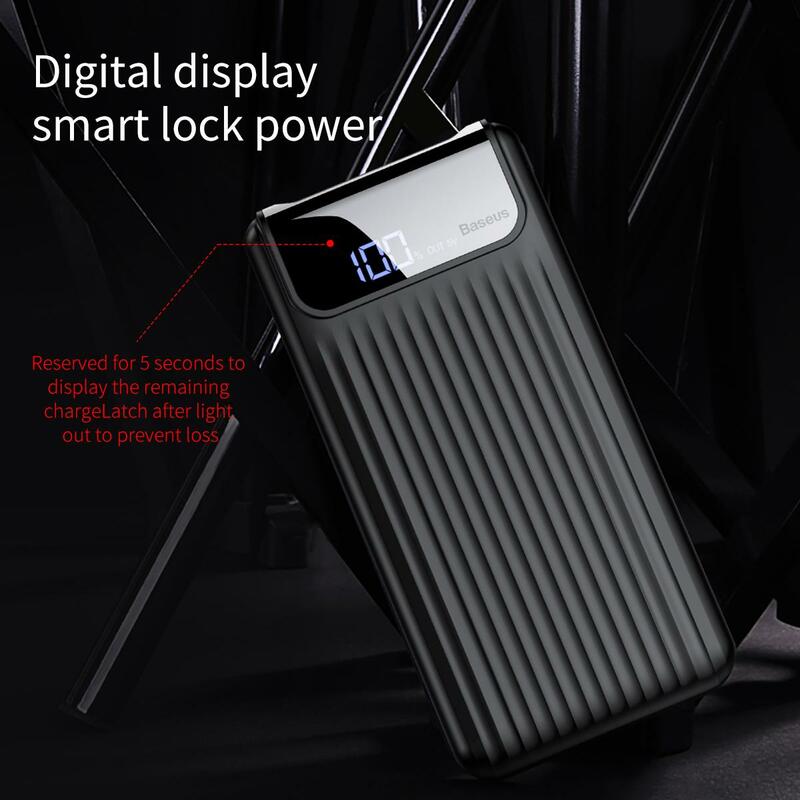 - High-quality Materials with Fine Workmanship: Made of environmentally friendly ABS and PC fireproof materials with unparalleled classic design, scratch resistant and high temperature resistant. 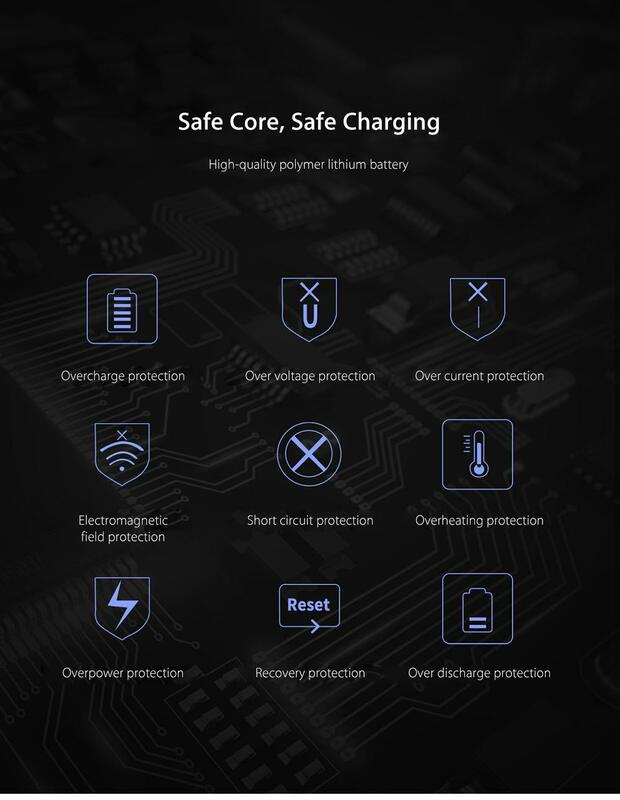 - Multiple Security Protections: Achieving nine layers of protections: overcharge, over voltage, over current, electromagnetic field, short circuit, overheating, overpower, recovery and over discharge protections. pruduct is good and deserves 5 stars. 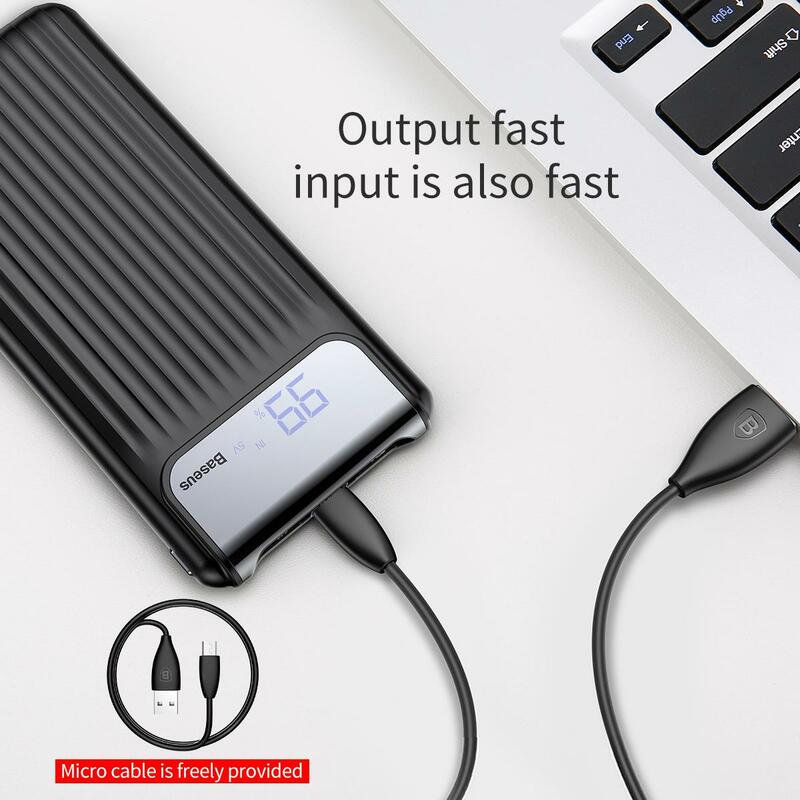 but i didnt get the data cable with in the box so i am giving you 4 stars instead. Thank you for your review. We appreciate all feedback we receive.. We look forward to taking care of you and your friends next time you visit. Thank you again. 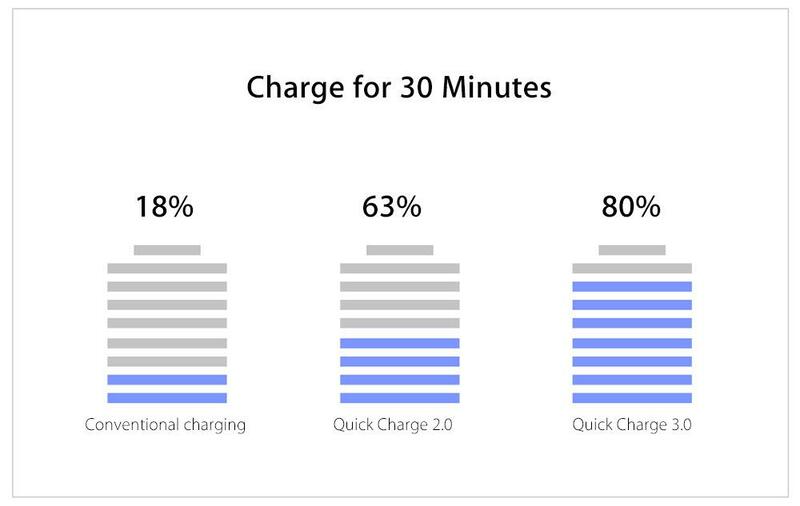 Just Excellent. 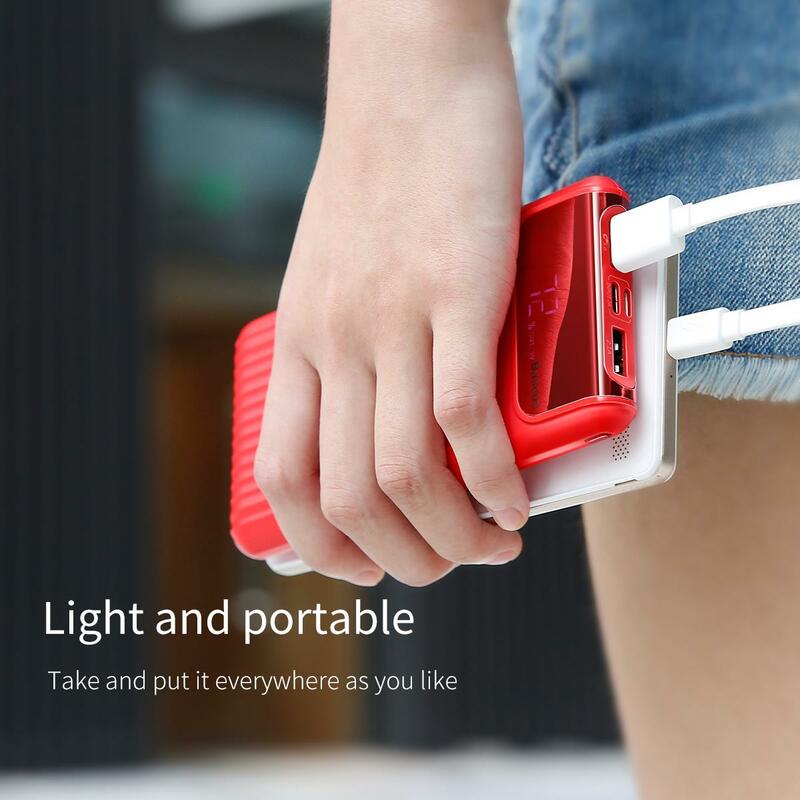 100% Original, Genuine product with original packing. Fast delivery and very nicely and safely packed in Daraz box. 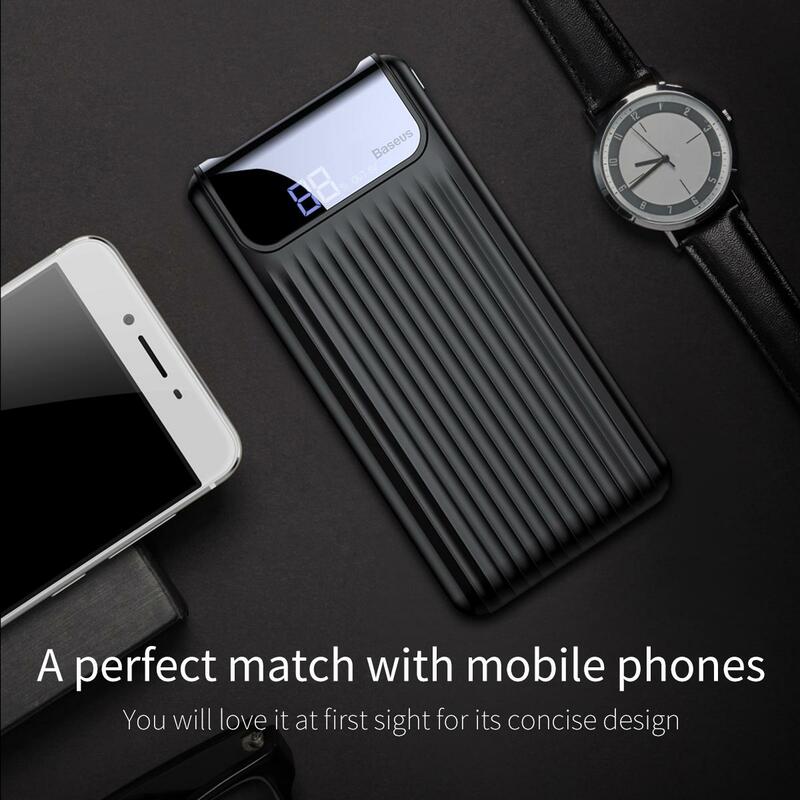 honest seller, send what they mentioned here. received in 2 days plus 100% original baseus product. thanks. I received the exact product as I ordered. Excellent service. does the box has a data cable in it ? is it available in black color?